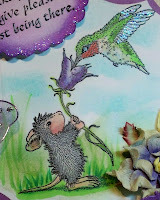 Just a reminder that the House Mouse and Friends Monday Challenge # 139, With the theme "WINGS" is at the midway point. We would like to invite you to submit an entry into the challenge. Anything with Wings on your card will do the trick. We have some wonderful sponsors and prizes up for grabs. Check out the rules, the prize list, and some wonderful inspiration on the House Mouse and Friends Monday Challenge blogsite. Small flowers are a punch from Martha Stewart. Beautiful card with a beautiful sentiment! So pretty, Sue! I am still debating which to use this time. I love your half circle design. I have never tried this. Thanks for all of the inspiration. Love the addition of the butterfly! I can always count on you to delight us with something sweet and different all at the same time. Love this half circle design. Your image is darling of course but you've really showcased it in an exciting, soft pretty manner. Such a beautiful card Sue. I love the cute image, fabulous design and such a special sentiment too. Gorgeous creation, lovely colours, the image is great and lovely colouring too. 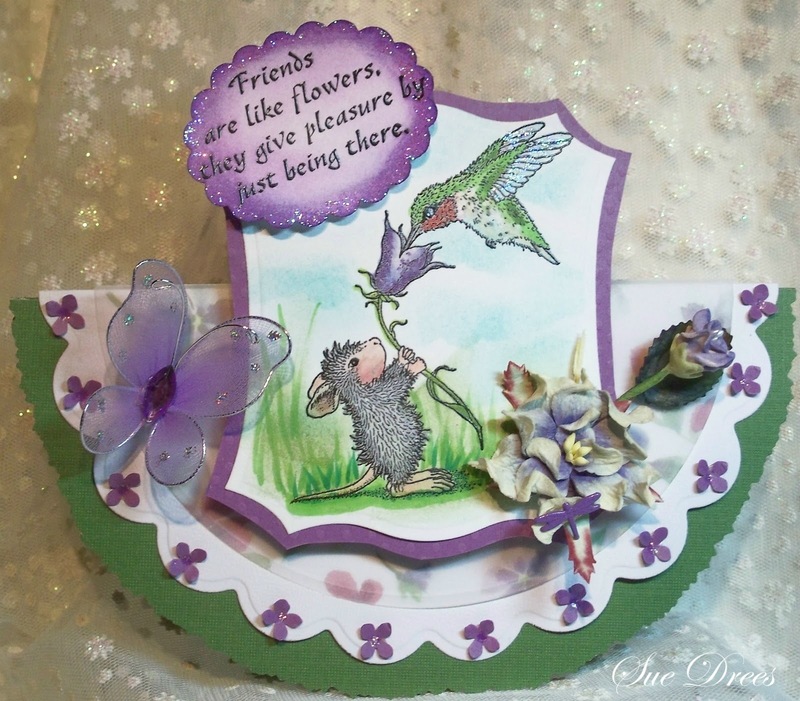 A stunning card Sue, I love your design and fabulous colours. Your image is adorable and beautifully coloured. Wonderful half circle card, I really must try one of those as they always look so great! 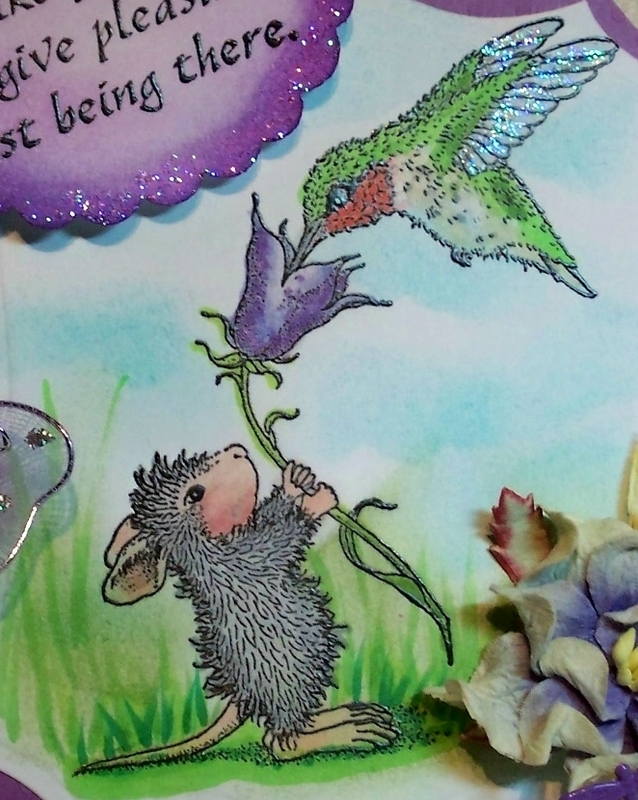 Love the adorable house mouse stamp and it is coloured beautifully! Goodness I love HM designs & the things you do with them! This is lovely...& the sentiment is perfect. Hi Sue this is one cut critter..love the shape & colours, gorgeous image colouring lovely work.